Who’s going to win the race? The hare? Nope. The tortoise? Not even close. 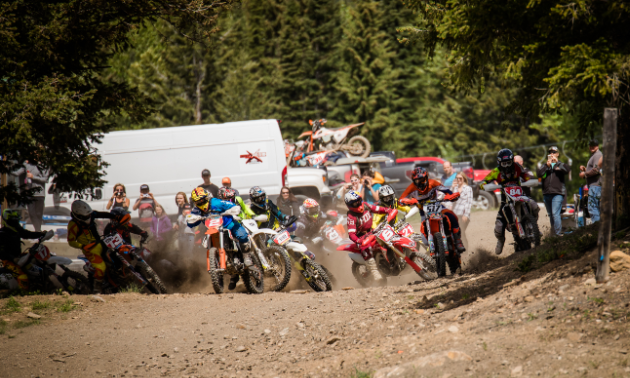 It’s Trystan Hart, winner of the Panorama Hare Scramble in Panorama, B.C. The event’s name is an appropriate one. The Panorama Hare Scramble is pandemonium. Andrew Cradduck is the man behind the organized chaos. Cradduck is president of the Windermere Valley Dirt Racers as well as director of mountain operations at Panorama Mountain Resort. His unique position within both organizations helps to facilitate the Panorama Hare Scramble. Among Cradduck’s jobs was ensuring the event had adequate sponsorship, prizing and awards. He was also responsible for co-ordination with the venue (Panorama Mountain Resort), course selection and marking, liaison with the sanctioning bodies (Alberta Motorsports Association Offroad and World Enduro Canada) and organization of volunteers for registration, awards and prizing, course sweep, and scoring and timing. So, yeah, he’s a busy guy. Over the course of the weekend (June 1 to 3, 2018), 22 classes of racers take part in the annual event. 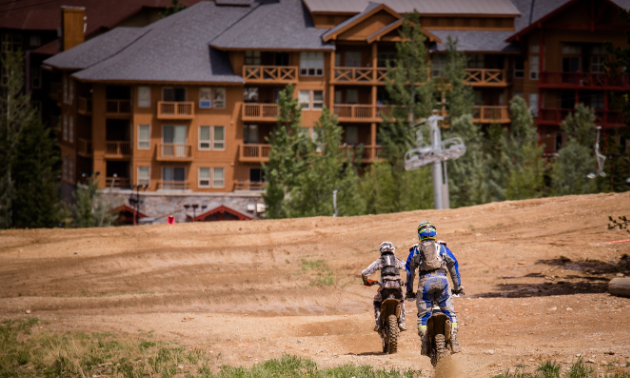 At the Panorama Hare Scramble, the “A” and “B” riders compete on the same course, but at separate times. The course is approximately 16 kilometres per lap. “We offer a challenging course, but one that can is rideable,” Cradduck said. On Saturday, the “A” loop racers compete for two and a half hours and include: Pro, Expert, Vet Master, 30A, 40A, Intermediate and Ladies Expert. “B” loop racers compete for two hours and include: 50+, 40B, 30B, Ladies Intermediate, Junior and Beginner. 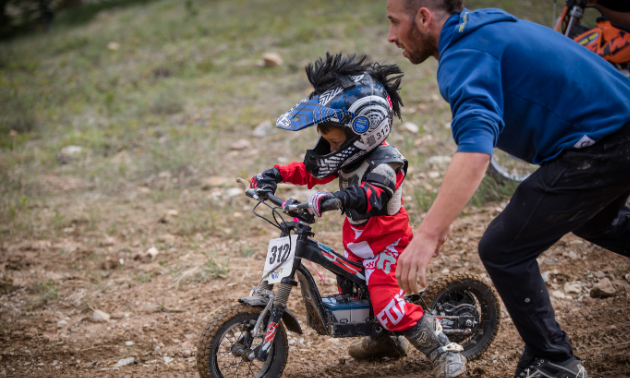 On Sunday, the focus is on the children, beginner ladies and casual racers. Alberta Motorsports Association Offroad implemented a new “Sportsman” class that is part of the Sunday program. This is an opportunity for casual racers to test the track and see if off-road racing is for them. There are three different courses of varying length and difficulty. Pee Wee Beginners and Pee Wee Experts race separately on a short (approximately one kilometre), easy oval for 30 and 45 minutes respectively. Next, the Kids Beginner, Kids Junior and Ladies Beginner classes race on a loop that is slightly longer (two and a half kilometres) and more challenging than the Pee Wee course. The final race on Sunday features Kids Intermediate, Kids Expert, Ladies Junior and Sportsman classes on a five-kilometre loop with more hills, obstacles and challenges. 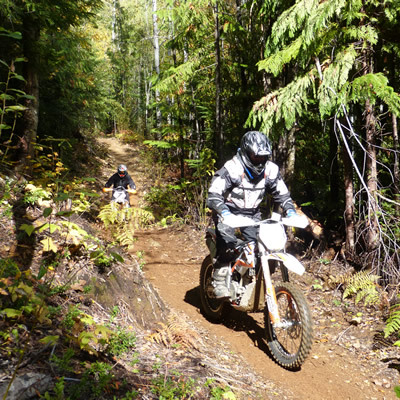 Most races take place at recreation sites where off-road motorized trails have been established. Facilities are limited, and staying overnight on site requires bringing a travel trailer. At Panorama Mountain Resort, there are a variety of accommodation options from budget-minded hotel rooms up to family-sized three-bedroom condominiums and townhomes. If you rent a condominium, you can secure your motorcycles in the underground parkade. “People often feel as though they are giving themselves some special treatment when they attend the Panorama Hare Scramble,” said Cradduck. An exciting addition to the event in 2018 was Beta Motorcycles’ demonstration rides. Beta’s specialized fleet of off-road motorcycles, made in Italy, were available for anyone to test drive on Friday evening and Sunday. “We have approached various manufacturers and dealers to display their wares in the past and Beta responded by including Panorama on their tour schedule,” Cradduck said. If you’ve been itching to have the “hares” on the back of your neck to stand at attention, take part in next year’s Panorama Hare Scramble.